As it was Mothers’ Day this weekend I thought I would put my new ‘folk art’ sewing skills to use by creating this card for my mum (which continued the tradition of arriving a day late!). 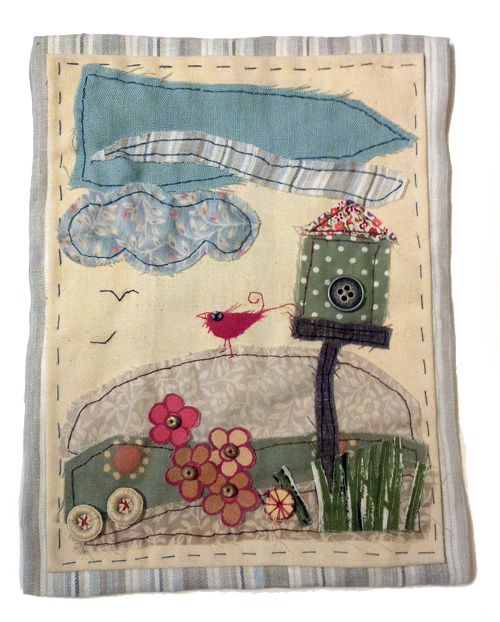 I’ve used a mixture of fabrics and felt, stitched on to a quilted backing with a couching stitch; I then added buttons and beads to complete the look. 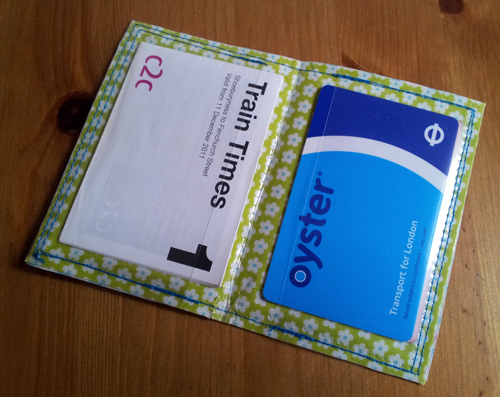 Bored with my standard-issue travelcard wallet I decided to create a more colourful version. I used two contrasting materials that I laminated, to keep the fabric clean. 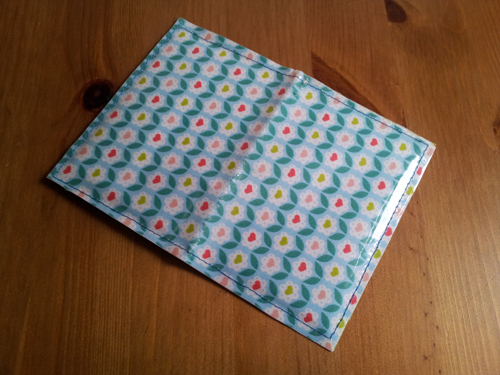 The inside has two clear pockets cut from a CD wallet. 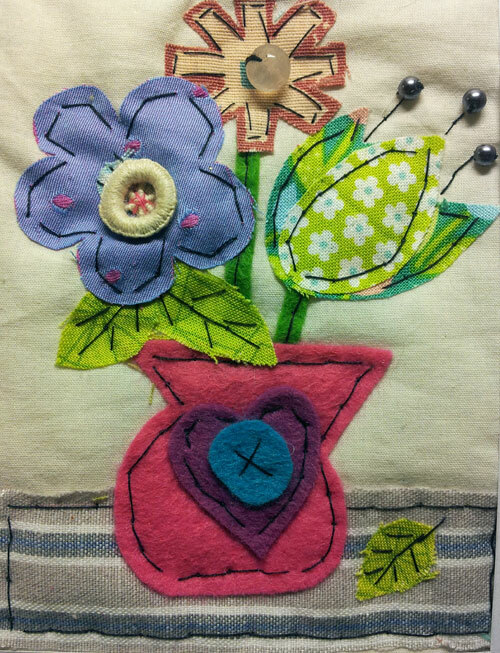 I attended a Folk Art workshop today at Make Do and Mend, which was the taught by Sharon Blackman. The session was three hours and we were tasked with creating a cottage/bird house/beach hut inspired image. We had plenty of vintage fabric remnants to choose which I later embellished with buttons and stitching.